These Grilled Lobster Tails are the ultimate appetizers. Only minutes to prepare and absolutely delicious hot off the grill. 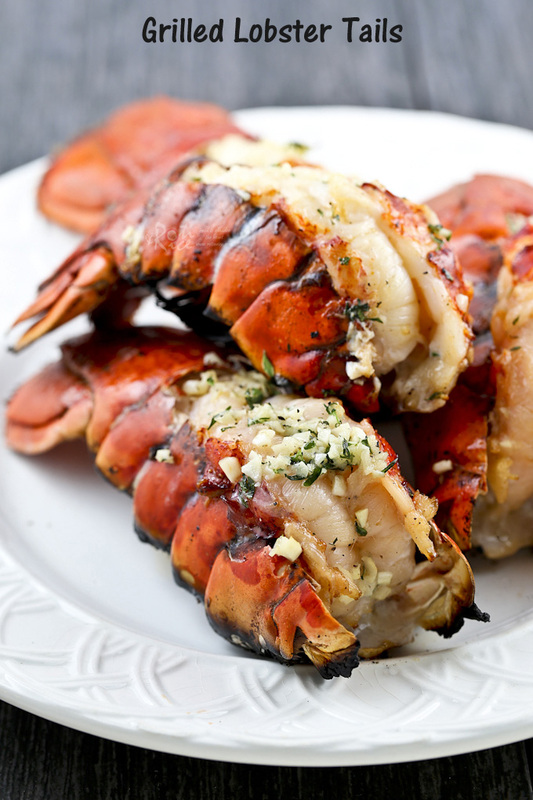 If you love seafood, you would enjoy these Grilled Lobster Tails. They are just the most tasty and fragrant pieces of meat on the grill. On top of that they look absolutely ah-mah-zing! Their succulent flesh and bright red shells whet the appetite and make you want to tuck in right away. 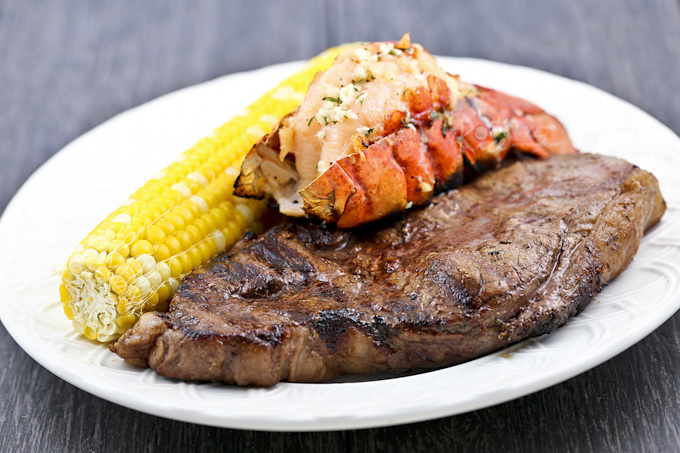 While you are thinking about these lobsters, may I suggest a surf and turf. Give the family a treat and get a few pieces of juicy steaks. The two are delicious together. I have several grilled steak recipes on the blog and this Grilled Steaks with Balsamic Worcestershire Marinade is the latest. Do check it out. Many are hesitant to prepare lobsters at home but I urge you not to be intimidated. It is actually quite easy. A pair of sharp kitchen shears makes cutting the shell a breeze. The marinade is simple and you will soon be outside by the grill in no time at all. Hold lobster with tail away from you. Cut on the right side of shell towards the tail. Repeat the process on the left side. Then make a cut across the back to free the top of the shell. Rinse the tail with cold water to remove vein and any bits of shell. 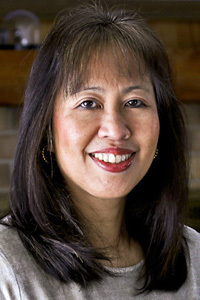 Pat dry with paper towels. Release meat from shell with the tail end still attached. Place the meat on top of the shell. Wrap tails with small pieces of aluminum foil to prevent burning. Combine melted butter, garlic, thyme, pepper, and salt in a small bowl. Brush marinade over lobster flesh. 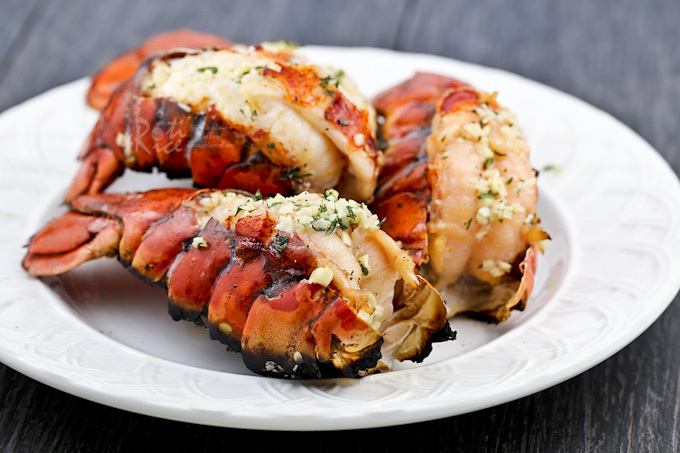 Place lobster tails on a preheated grill. Grill for 5 minutes, and then baste with remaining garlic thyme butter. Continue to grill for another 5 minutes. 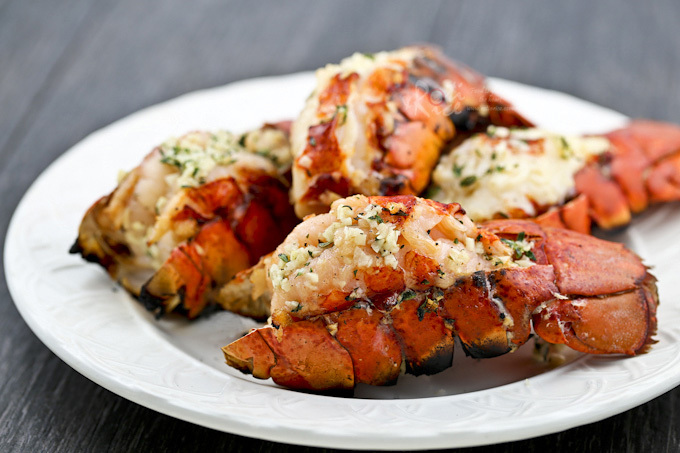 Lobster tails may be placed on a broiler pan and broiled for about 6 minutes. thanks for your quick reply to the steak quiry. the lobster tail looks so yummy, will try your recommendation, surf and turf.